Grace E. Knechel, age 92, died Saturday, January 12, 2019 at her home in Buckingham Township PA, where she lived for the past 25 years. Prior to that, Grace lived in Hunterdon County NJ for 35 years. Born June 29, 1926 in Hellertown PA, Grace was the daughter of the late Russell and Mabel (Miller) Brunell. 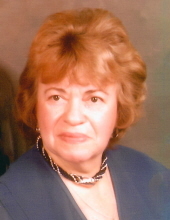 She grew up in Wassergass PA with her parents and four siblings, and later the family moved to Leithsville PA.
Grace loved to listen to country music and go country line dancing with her longtime companion, the late Edward Knechel. She also loved playing cards with her friends and kept a bountiful vegetable garden at her home. Grace worked for 28 years as a school bus driver for Hunterdon Central Regional School District until her retirement. In addition to her parents and companion, Edward Knechel, Grace was predeceased by her sisters, Ruth Passaro and Marian Botoff, as well as her brother, Lou Brunell. She is survived by her son, John Knechel of New Hope PA, and her brother, Harold Brunell of Hellertown PA, as well as several nieces and nephews. Funeral service for Grace officiated by the Rev. James DeVries, will be at 12 noon, Thursday, January 17, 2019 at Holcombe-Fisher Funeral Home, 147 Main Street, Flemington NJ 08822. Interment will follow in Amwell Ridge Cemetery (Larison’s Corner) in Ringoes NJ. Viewing will be Thursday from 11:00 am until the time of service at the funeral home. Please visit www.holcombefisher.com for further information or to leave online condolences. "Email Address" would like to share the life celebration of Grace E. Knechel. Click on the "link" to go to share a favorite memory or leave a condolence message for the family.